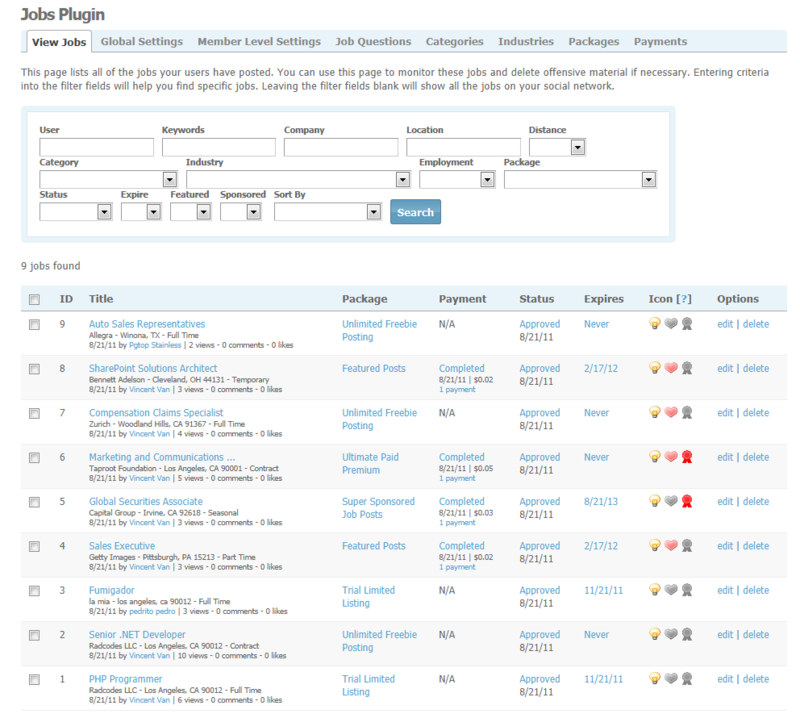 This plugin let you run a job board for your social networking website. 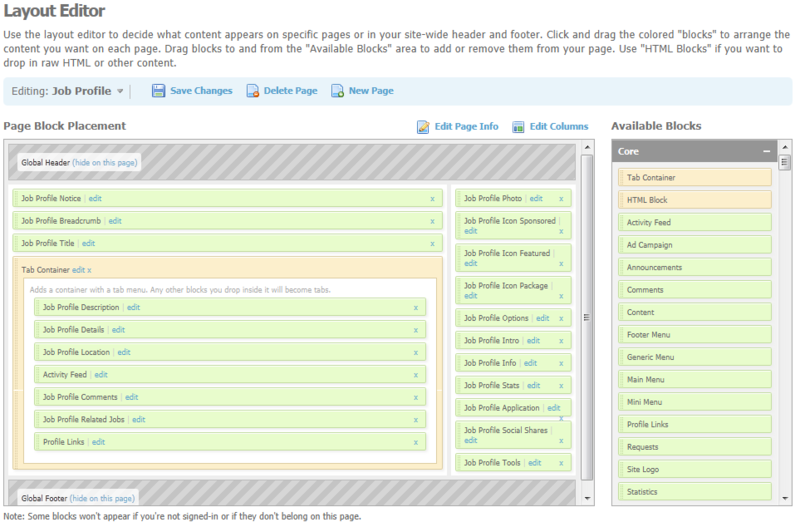 It comes with many built-in widgets that allow you to totally customize the look-n-feel of your site. 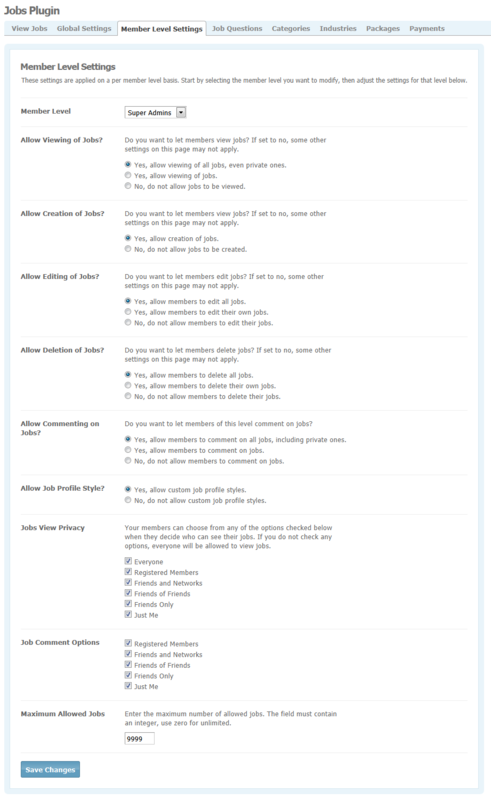 In addition to that, you can tailor it with custom job fields / questions, as well as defining your own job types with different cost, duration, featured job posts along with approval process. 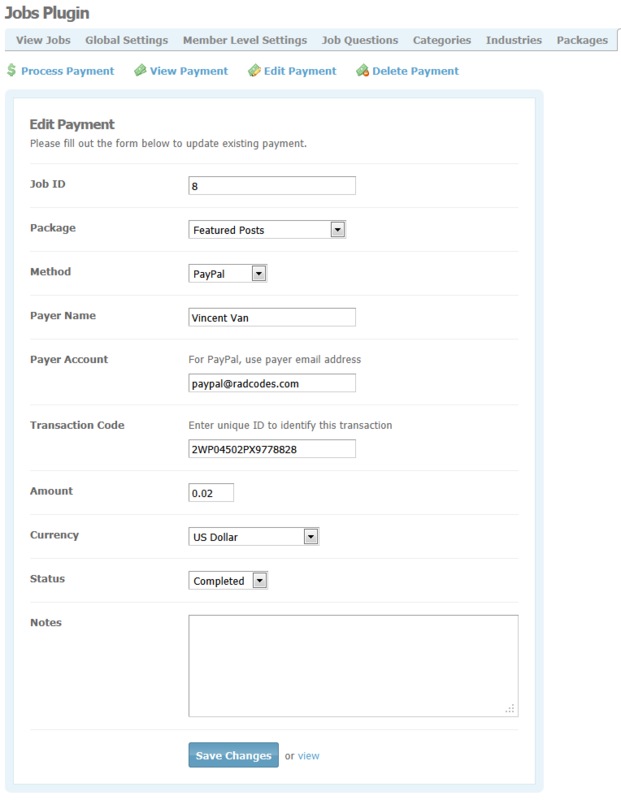 This plugin supports ePayment and allows you to charge your user to post jobs and earn some nice additional income. 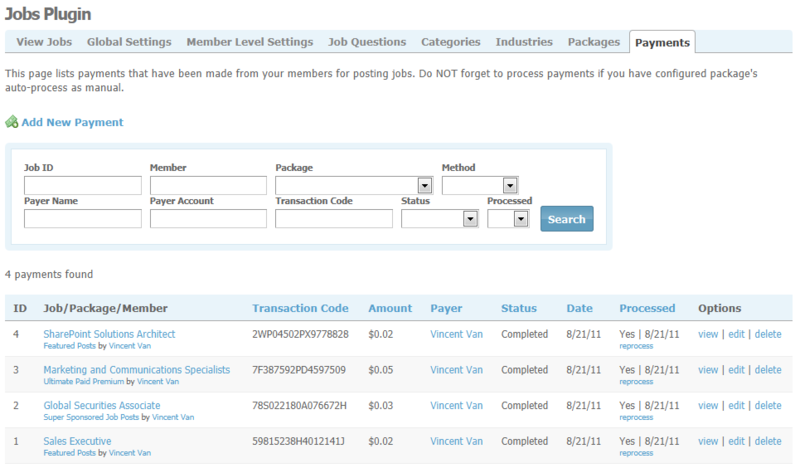 Ability to charge your members to post jobs with renew and upgrade package supported. 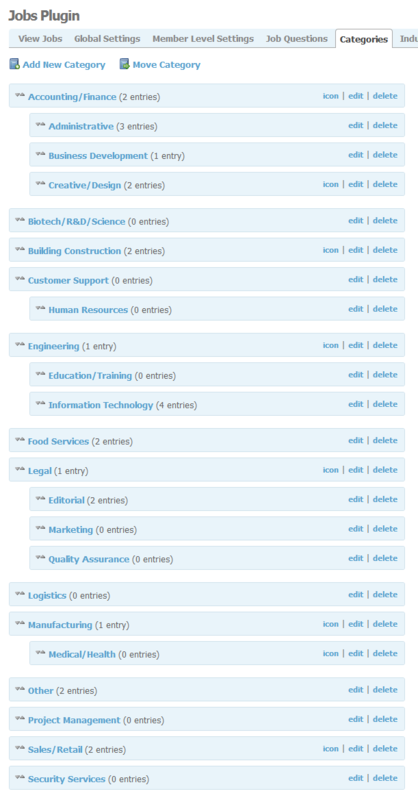 Below are built-in job widgets with a lot of configuration options / settings allowing you to customize the landing / browse / custom page anyway you like. 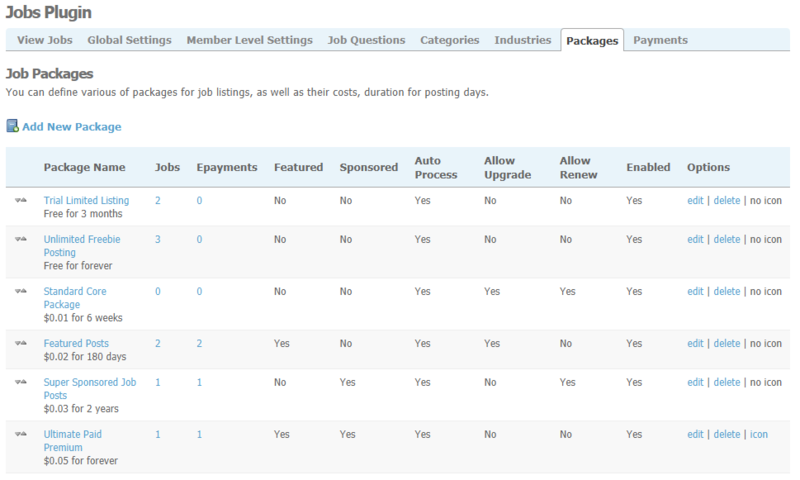 Profile Jobs: Displays a member&apos;s jobs on their profile. 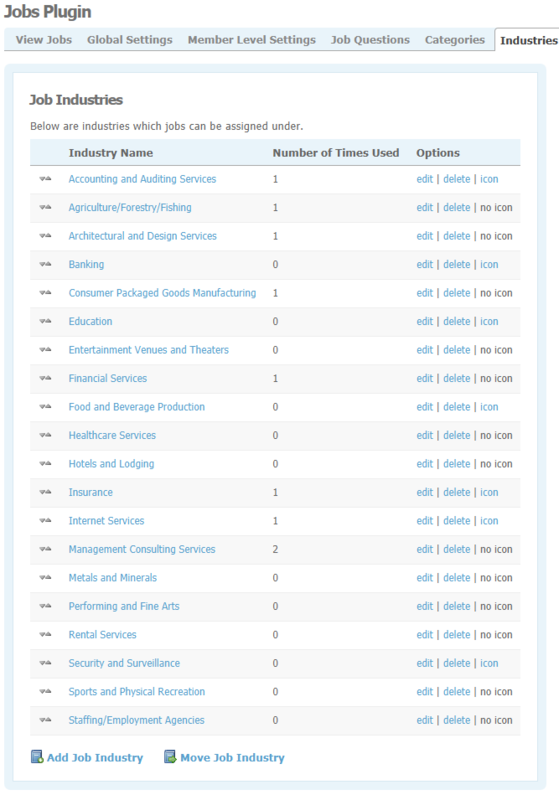 It also supports displaying jobs that are created by specific page/subject owner, example: when use this widget on Group Profile page, and config User=OWNER mode, it would shows jobs created by the group&apos;s owner. 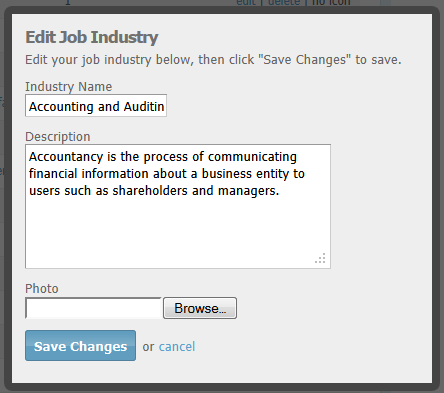 If you set User=VIEWER mode, then the widget will displays jobs created by current logged in member. 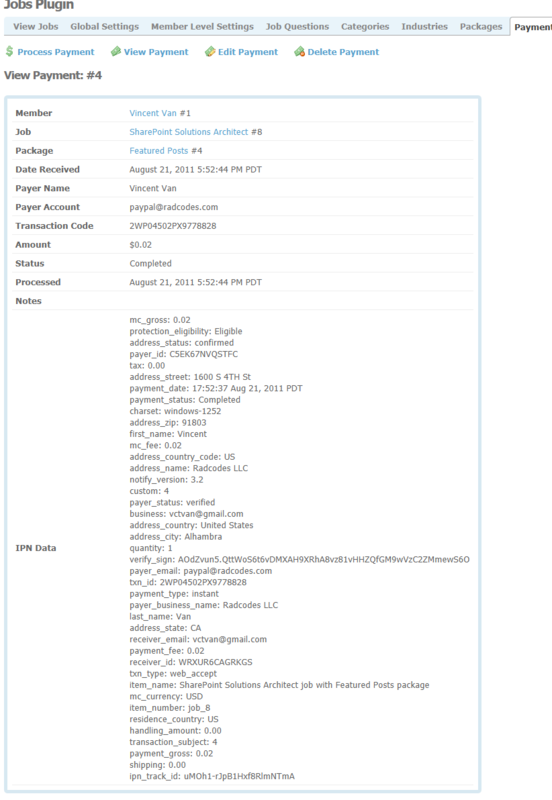 Profile Description: displays a job&apos;s full description content body. 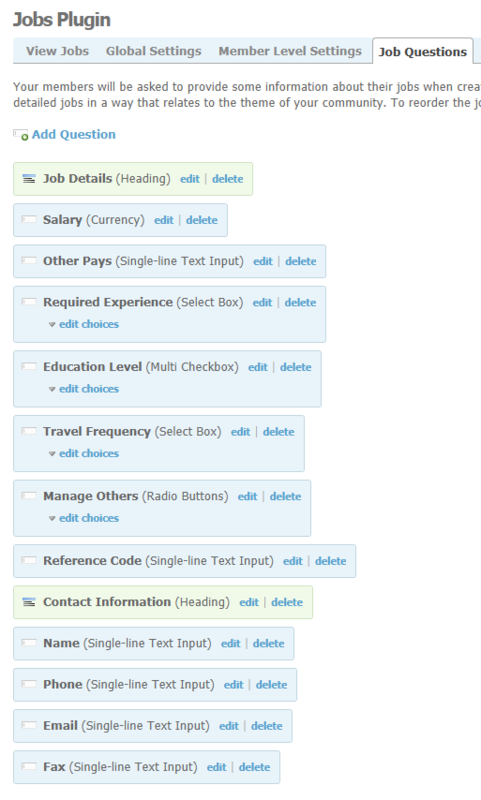 Profile Details: displays a job&apos;s details (customized question/field data). 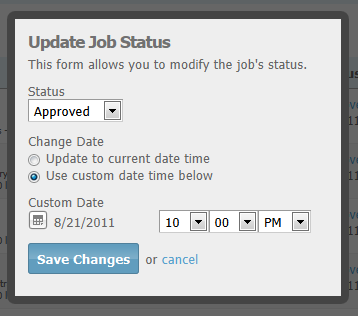 Profile Notice: displays a job&apos;s system notice such as approval status, expiration, preview message etc.. 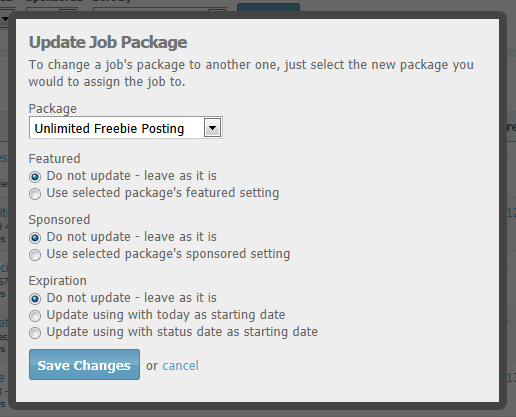 Profile Social Shares: displays a job&apos;s social shares such as Facebook, Twitter, Digg etc..using AddThis service. 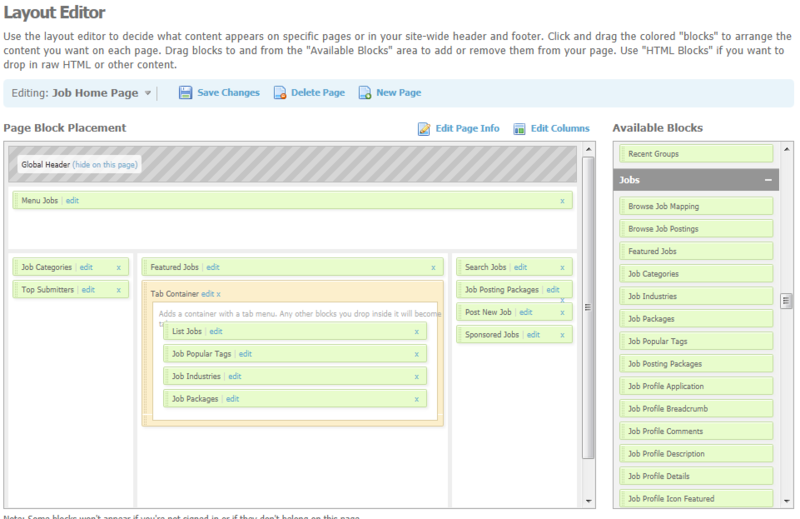 Control customized fields to be search-able, displayable. 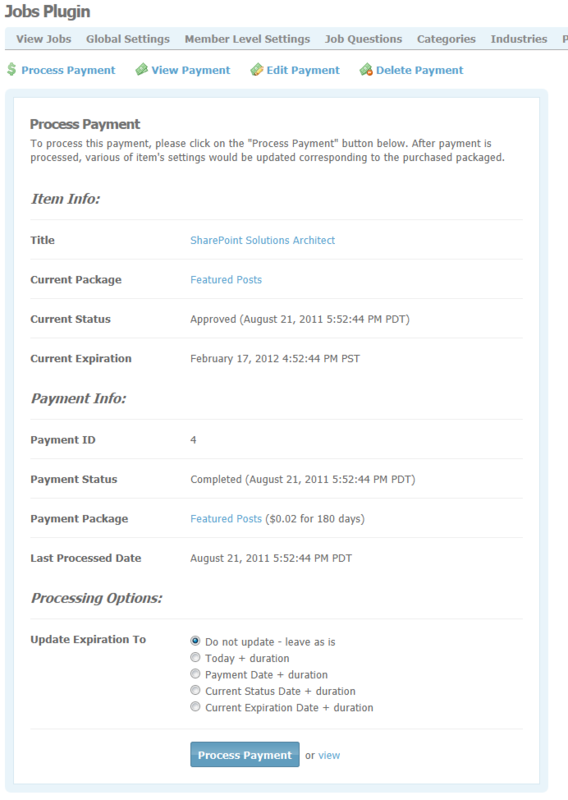 For demonstration purposes, we have turned off some options / features on purpose to prevent abuse. Some pages may require you to log in or special permissions, please feel free to create an account for full test-drive experience. 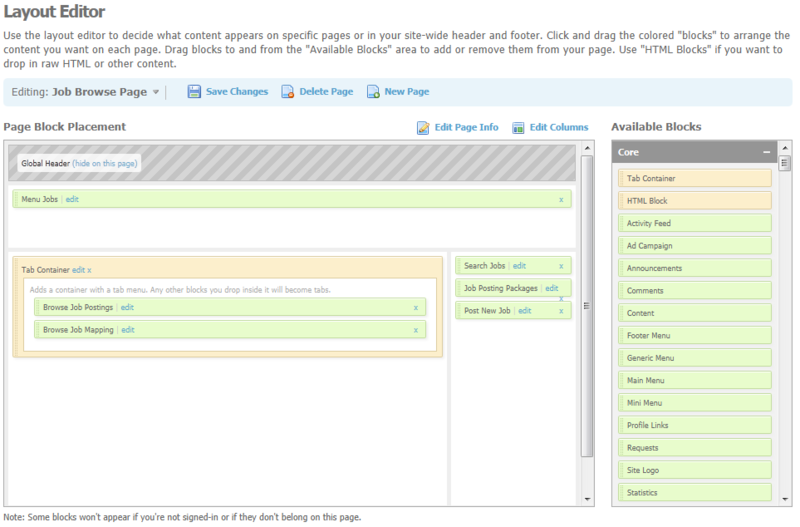 Below are sample screenshots in admin control panel. For user front-end screenshot, please check out the live demo section above. 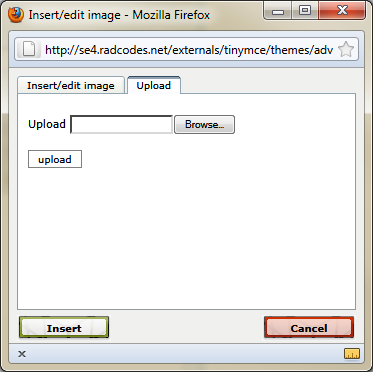 Note:The image direct upload (see screenshot) from computer using [image] button on HTML editor requires official SE Album Photo plugin (NOT some 3rd party Album / Photo plugins) and only for SE v4.6 or less. 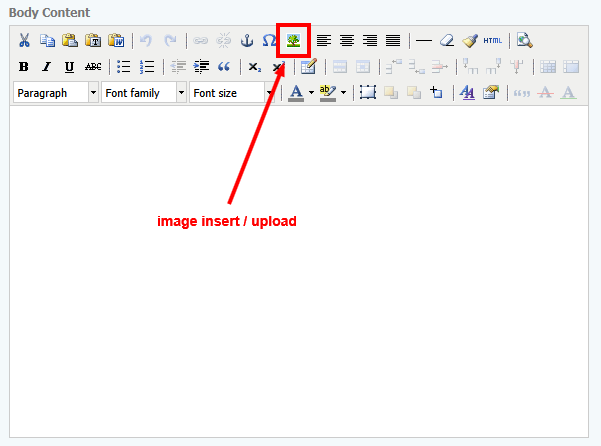 If you do not have SE Album plugin or using SE v4.7 or later, the plugin would still work fine, except that the [image] button upload function will not supported. © 2008-2019 Radcodes - All rights reserved.